France is Le Boats most popular cruising ground. Boat along the picturesque Canal du Midi, a UNESCO World Heritage Site. Enjoy wine tasting, cycling, and sightseeing at medieval villages. When it comes to barging in the South of France—there is not better company to travel with than Le Boat and the scenic Canal du Midi is a must. Cruising this 300 years old waterway, you will savor the slow easy pace of travel past lush vineyards in the heart of the Languedoc wine region. 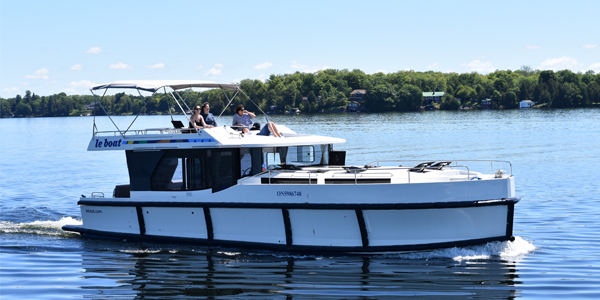 As a special Holiday Gift, Le Boat will be giving travellers an extra $50 off their December booking. Offer is combinable. New bookings only. * Based on availability. Sleeps 3 people, 1 cabin, 1 bathroom. Price is per boat and not per person. Price subject to change and availability; please contact us for details. Port Cassafières is perfect for families, with the sandy beach of Portiragnes nearby and a 1hr cruise to the east await the fairgrounds, adventure golf and go-karts of Vias. 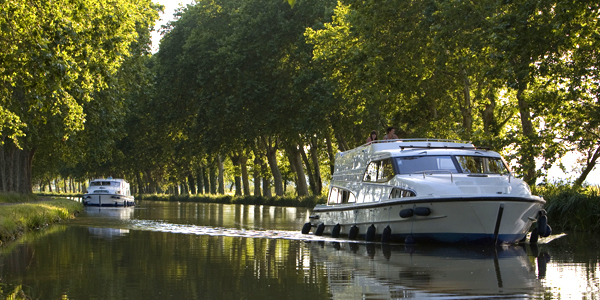 A week-long one-way cruise that takes in most of our Canal du Midi cruising region, all the way from our base Castelnaudary in the west to Port Cassafières in the east. For those looking to explore the famous French Wine Region, take a tour of the Chablis wine district in the Nivernais or the famous Sancerre vineyards of the Loire! Particular viticultural highlights include the vineyards of Tannay, the Domaine Bernaert wine cellars in Accolay and the Maison des Sancerre which provides a full breakdown on the 300 vineyards in the area. The Canal du Nivernais is very easy to navigate and has no barge traffic. And, the Canal Latéral à la Loire is ideal for beginners. * Based on availability. Sleeps 5 people, 2 bathrooms. Price is per boat and not per person and based on a 7-night cruise. Price subject to change and availability; please contact us for details. One of the greatest engineering feats of the 19th century, the Rideau Canal is the oldest continuously-operated canal system in North America. Traveling this attractive waterway, you’ll be able to unwind and take in the spectacular nature, picturesque towns and lively cities of this UNESCO World Heritage Site. 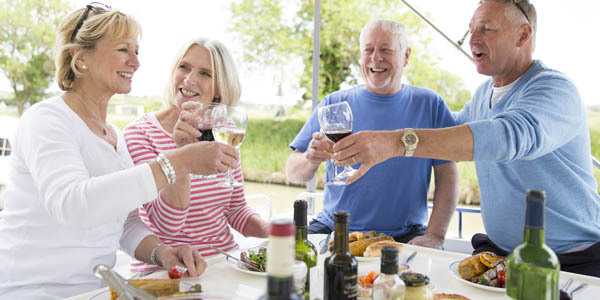 Whether you like to taking in abundant nature, swimming, fishing or discovering fascinating culture or simply indulging in some shopping or wine tasting - the Rideau Canal has something for you! Special Goliday Gift of $50 off will be valid for new bookings Dec. 1- Dec. 31, 2018 for travel in 2019. Pricing are subject to change and based on availability. Chat with an agent for more informaton. Please book by emailing info@leboat.com or calling 1-800-734-5491 to speak to a Le Boat Sales Agent. For more info visit www.Leboat.com.